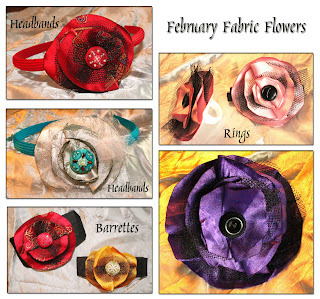 Yeah, so I decided to take my own advice and make a few fabric flowers from one of my previous tutorials. Here are some of the results. What do you guys think? Luv it all especially the rings... Where do I go to buy a ring from you?